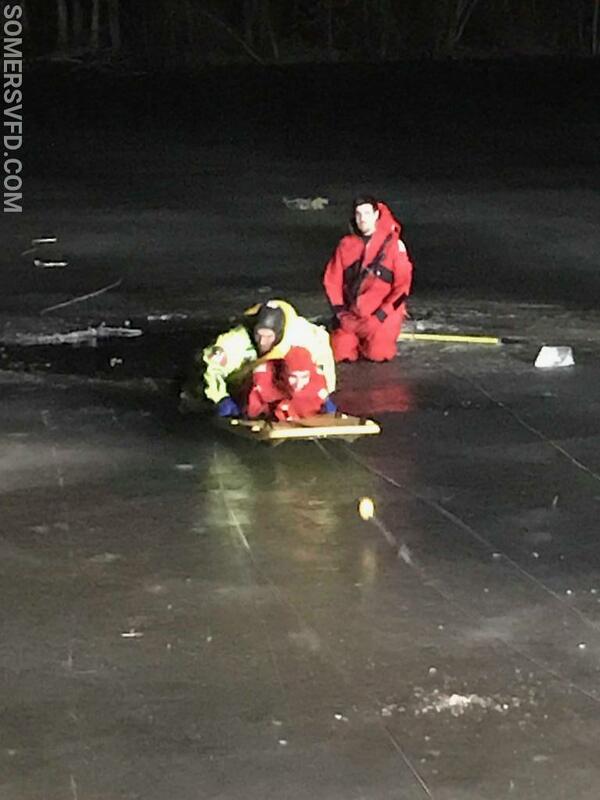 Somers FD Trains for Ice Rescue - Somers Volunteer Fire Department, INC.
On Wednesday December 19th 2018, the SVFD conducted a classroom training session on ice rescue. 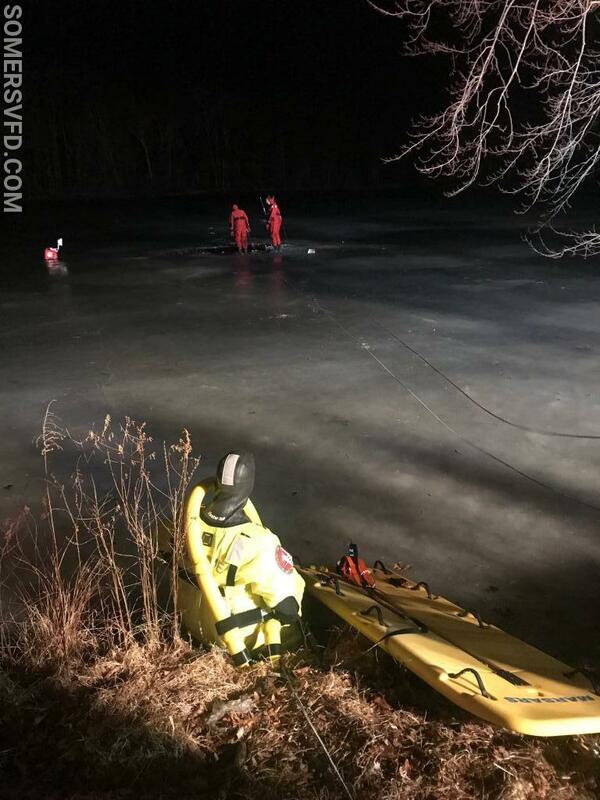 Over the years the SVFD has responded to numerous ice rescues in our jurisdiction, mostly due to the large area of reservoirs. 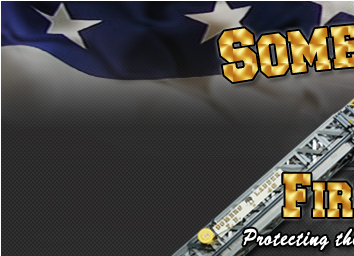 The Somers Fire District over the last year has purchased much needed equipment to help us better prepare for these types of rescues. 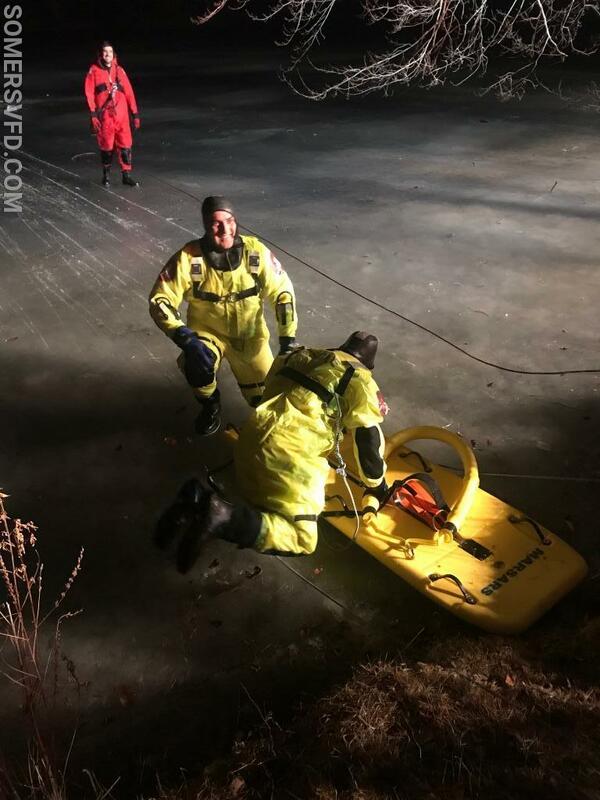 This new equipment included Personal Flotation Devices (PFD's), cold water suits, and a new state of the art ice rescue sled. SVFD members trained on this equipment at the Amawalk firehouse with the assistance of Captain Paul D'Agostino of the Croton Falls Fire Department. 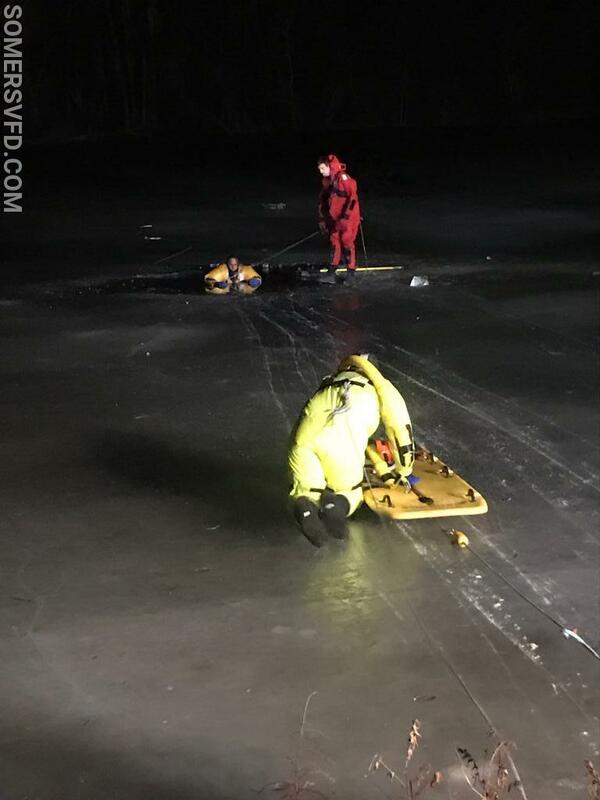 Croton Falls FD utilizes the same ice rescue sled which will improve agency interoperability. 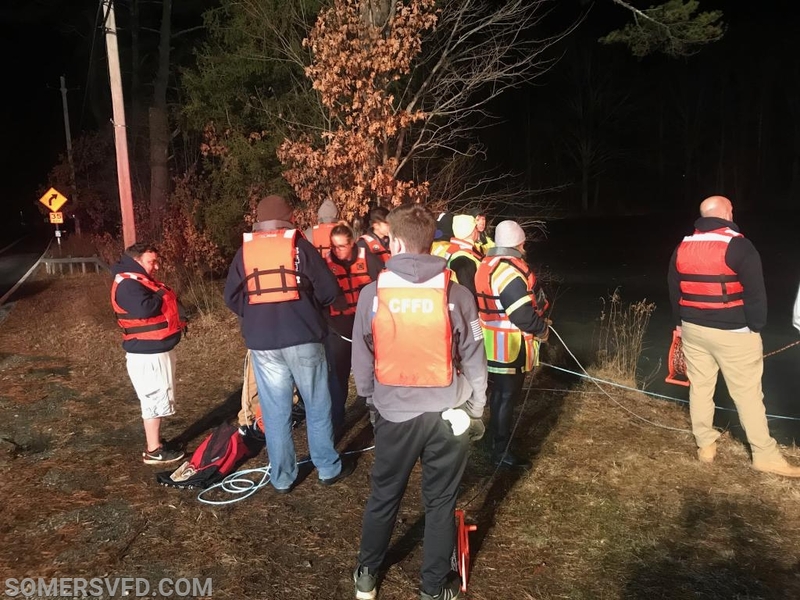 On Monday February 4th 2019, the SVFD in conjunction with the Croton Falls Fire Department conducted a hands on drill using this new equipment. 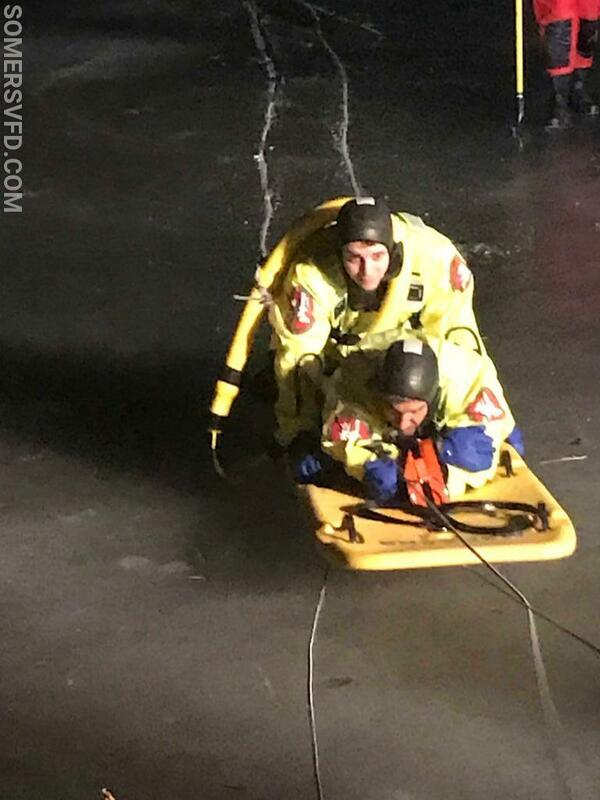 The SVFD had approximately 20 members attend the training, with many SVFD members conducting a simulated rescue. 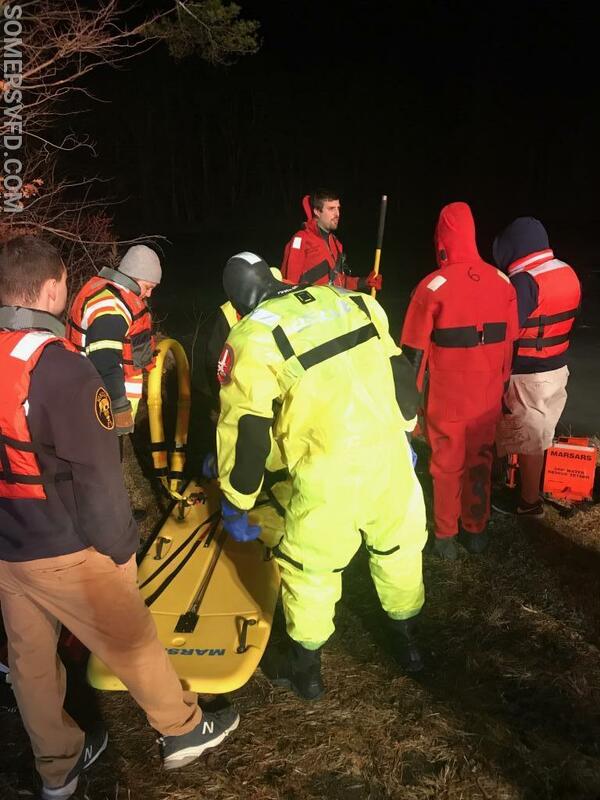 Thank you to the Croton Falls FD for your partnership with this training and to the Somers Fire District Board of Fire Commissioners for providing this much needed equipment.